Chicken eggs supplier in our body protein and nutrients. The eggs are quite sensitive to improper storage and can be a source of Salmonella if not properly treated. When you are buying eggs make sure that the Windows are in a dark cool (not battery) place, and even better if the eggs are in the refrigerator. Eggs must be clean in appearance without cracks and no stains. Home immediately put the eggs in the refrigerator, in a special compartment designed for them. Avoid keeping them in the sun. If the egg is cracked during transport, break and pour it into a clean Cup to make sure it is not corrupted, has no bad smell. It is recommended to prepare such an egg or put a Cup in the fridge. But to use a broken egg must within 2 days. Sometimes the village eggs in the markets are sold in sticky mud. Therefore, in order to avoid contamination of other foods in your refrigerator, simply wipe eggs with a dry cloth. Do not wash eggs in hot water before storage. According to sanitary rules in the field of catering eggs before use should be washed in a solution of baking soda, then soak in 5% solution of the same soda for 15 minutes, then rinsed with clean water. The shelf life of eggs listed on the box. Usually eggs should be stored in the refrigerator for 3 to 5 weeks. Boiled eggs keep in the refrigerator for no longer than a week. Eggs out of the refrigerator should not be stored more than 2-3 hours. Eggs for pregnant women, the elderly, children should undergo careful heat treatment. 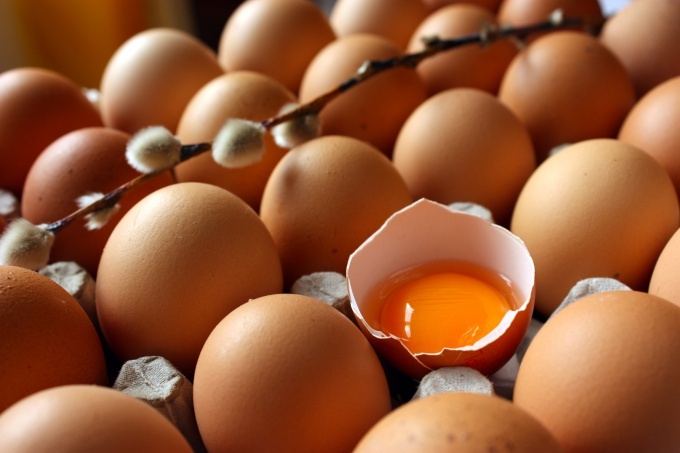 This high risk group should avoid consumption of raw or undercooked eggs.